The Data logger WACOTEC is powered by batteries and it is used to measure temperature. Both its wide temperature range (-40 ... + 80 ºC ) and its integrated semiconductor sensor make possible to use the data logger in many different sectors. Thanks to its water resistant plastic case which meets FDA standard, you will be able to use the data logger in the food sector too. The non-volatile internal memory ensures a high data security. Every data logger has a different serial number for an exact identification. 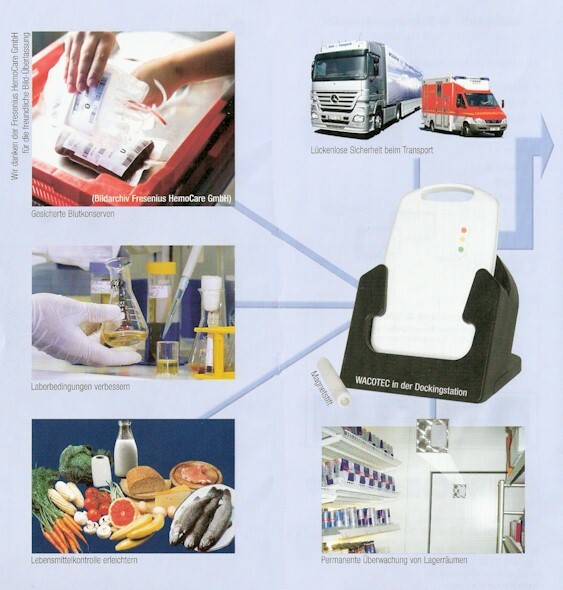 The Data logger HACCP PCE-WCT can be easily programmed, started and stopped through the PC or portable computer. Every change you make will be internally memorized. 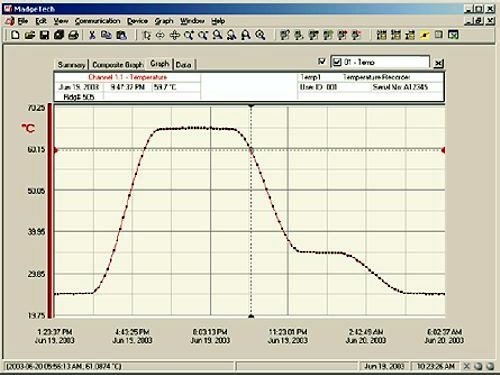 The software can automatically recognize when the logger is connected which allows the user to easily evaluate the measuring values. 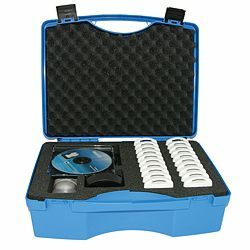 Here you will find an overview of all the data loggers available at PCE Instruments. Food industry, refrigeration locals, refrigerated show counter, fresh food transport, refrigerated vehicles, hospitals, ambulances (to transport fresh blood), vets, pharmacist, pharmaceutical transports, slaughterhouses, meteorological services, hotels and restaurants, bakeries, air transport, air-conditioning system (conducts and technical rooms) pools, etc. -50 ...+ 80 °C/0 ... 100 % H.r. - Continuous access to the chart for a detailed representation of the measurement values. When the data logger HACCP is ordered, you will also have to buy a base station included in the software. 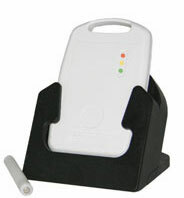 The base station is delivered together with the software kit and the USB cable. When the base station is ordered, the software kit will be needed for programming the data logger HACCP and later readings. All the data can be registered and used at a later time. 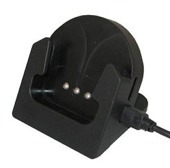 The data logger comes with resistant ABS plastic. 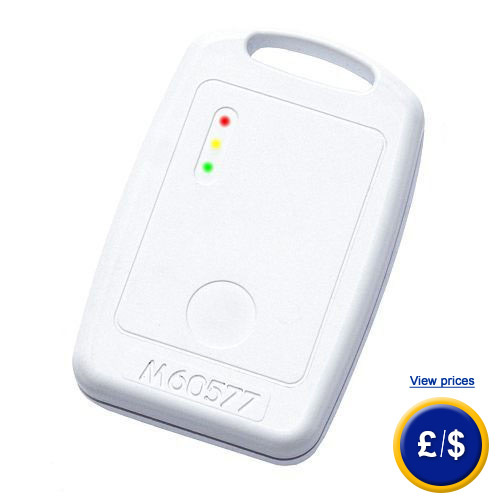 The data logger HACCP is activated by means of a magnetic pin. It is located inside the base station. If the magnetic pin is lost, it is possible to order a new one.